Anywhere the President of the United States goes, there they are. Watching, guarding, protecting. They are special agents, members of the United States Secret Service, one of the oldest federal law enforcement agencies in the country. Some of them are easy to spot, the men in black suits with solemn faces following every move the president makes. Others blend into the crowd, ready to take any action necessary to protect their charge. All of them are specially trained agents who have dedicated their careers in the service of their country. The United States Secret Service has a uniformed division as well as an investigative division. Special agents are members of the investigative division. Protective services is, of course, the best known and most popularized function of the U.S. Secret Service special agent. Believe it or not, though, protection is not the agency's first priority. In fact, the agency wasn't officially tasked with dignitary protection details until much later in its history. When it was established in 1865, the primary mission of the Secret Service was to safeguard the currency of the United States by investigating instances of counterfeiting. Its role has expanded since then to include enforcement and investigations into all manner of fraud, including computer, securities, telecommunications, and identity theft. In short, the Secret Service is tasked with protecting the payment systems and methods of the United States. In 1901, the Secret Service received its dual function of protection. Currently, special agents are tasked with providing protective services for presidents, vice presidents, the president's immediate family, former presidents, and visiting dignitaries from other countries. Unless specifically assigned to a permanent protection assignment, such as that of the president or vice president, special agents work throughout the United States to ensure our financial systems are safeguarded and free of fraud. However, any agent may be called at a moment's notice to join a protection detail anywhere in the country. As a result, the job necessarily requires a significant amount of travel and irregular hours. To be considered for appointment as a secret service agent, candidates must be at least 21 years of age, be a U.S. citizen and possess a bachelor's degree. They must also have demonstrated high academic achievement by earning a GPA of between 3.0 and 4.0 or by being inducted into an honors society. Absent a high GPA, candidates may also qualify if they have prior relevant experience conducting investigations, interviewing suspects and arresting people suspected of crimes. Experience working a police officer will meet this requirement in most cases. Candidates for secret service jobs who hold a master's degree or with extensive relevant background experience may be hired at a higher pay grade, though the job functions remain the same upon appointment. Extensive relevant experience would include work as a detective or criminal investigator. Of course, in addition to the minimum requirements, candidates must be able to qualify for top secret military clearance. As a result, an extensive background check is required, including an in-depth polygraph exam. Upon appointment, candidates for special agent undergo an extensive 27-week training session, spending 10 weeks at the Federal Law Enforcement Training Center in Glynco, Georgia for the Basic Criminal Investigator Training Program and then 17 weeks in Washington, D.C. for the Special Agent Basic Training Program. 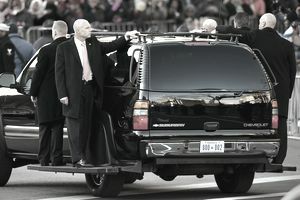 Though the secret service is not expected to add positions, jobs will become available through natural attrition and retirements, meaning that opportunities will continue to exist for qualified candidates. Special agents are appointed at either the G7 or G9 pay level, and starting salary, including a 25 percent availability pay additive, will range from $54,000 to $94,000 annually depending on the initial duty station. Is a Career as a Secret Service Special Agent Right for You? The job of a secret service agent, at first glance, may seem exciting and interesting ​and can provide a tremendous amount of diversity from day to day. It's not for everyone, though. Working as a special agent will require long hours in less-than-favorable conditions, and agents must make themselves available 24 hours a day, ready to go at a moments notice and prepared to be away from home for 30 days or longer at a stretch. If you think you can handle working under these conditions, then the job of a secret service agent can be incredibly fun and rewarding. If you enjoy travel and spontaneity and have a desire to serve, a United States Secret Service special agent may be the perfect career path for you. Want to know more? Learn all about the many great federal law enforcement careers available to people looking for jobs in criminal justice and criminology.